today's the first day of spring, although the weather forecast is a bit iffy and it doesn't exactly feel like spring yet. after the ridiculous winter that we have had this year, i am certainly ready for some nice spring weather!!! 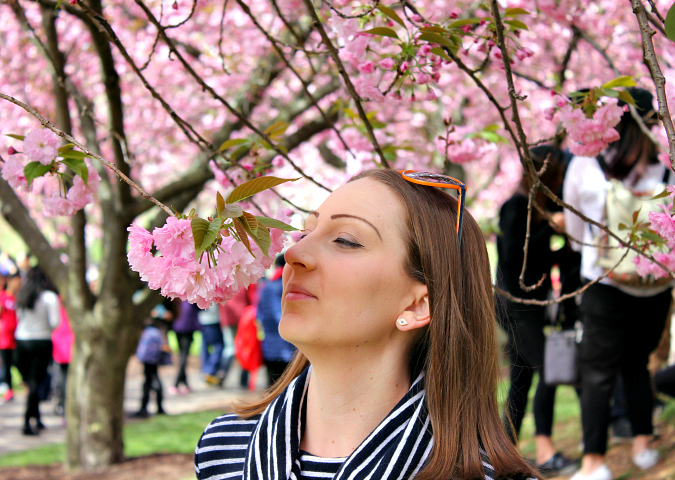 in the meantime, i will be dreaming about the day we spent walking through the cherry blossom trees last spring in brooklyn. go out and celebrate today with some free rita's! What a pretty picture. It made me feel like spring is in the air. I am hoping we do not get the snow they are predicting for tomorrow.